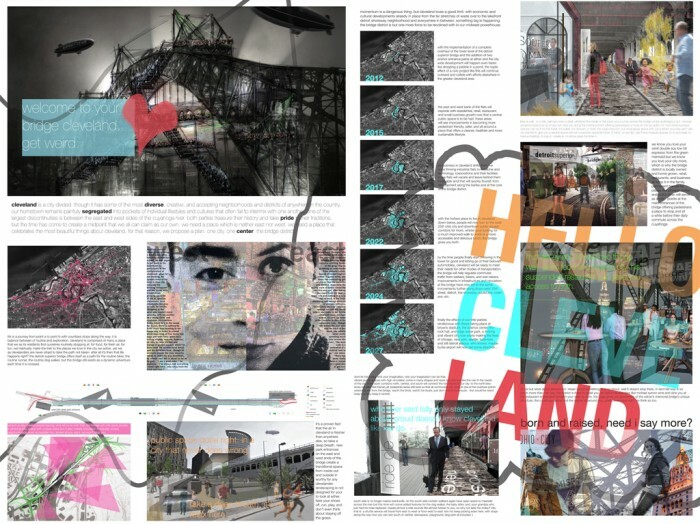 Overview: this is a project by cleveland lovers for cleveland lovers. 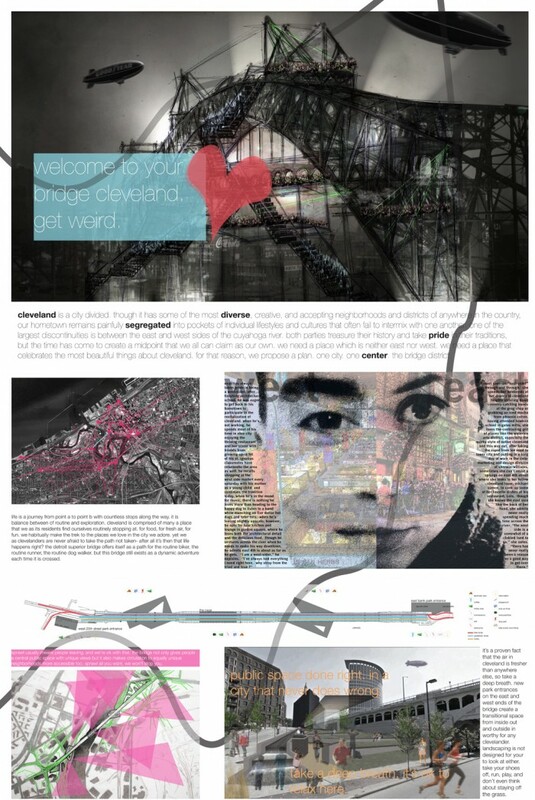 as two design students frustrated by the discontinuity of the coolest areas of our city, we saw the bridge project as the perfect way to address the issue and bridge the gap especially between the east and west sides of the cuyahoga river. 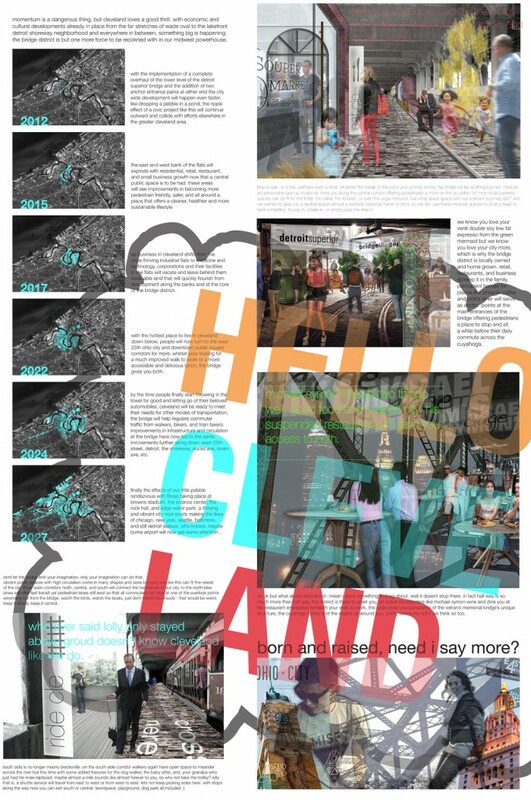 our project addresses each zone of the bridge and presents solutions that utilize cleveland’s biggest assets from our local food to our thriving art scene to create a true center point between the two sides of the water. the new pedestrian level of the detroit-superior bridge is a place that everyone can claim. it represents the idea that we are one city, we have one dream and we deserve one center. cleveland has so much to celebrate. why not bring the party over the water?